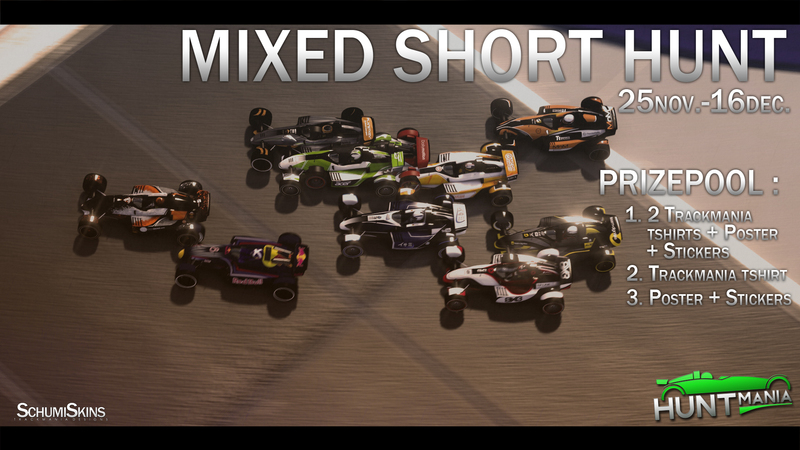 Mixed Short Hunt 2016 is starting soon! The first ever multistyle hunting event is here! And it's starting very soon. The styles Tech, Fullspeed, Dirt and RPG will be played in one event. The length of the maps is 15 - 25 sec, so you won't drive your fingers sore . No need to sign up! Just join our server at 18 CET 25th of November. We will publish all important information on our homepage, so you will find the server there when the event begins. And don't forget to follow our Facebook page, as we post almost all updates about our events there. Seems to be enough for now. So have fun and good luck!